Yeah, I know, that's a pretty bold statement to make about a cake. 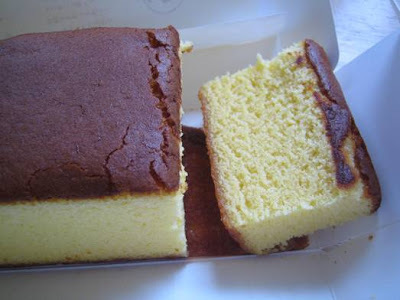 But if you've ever tasted Castella, a sponge-pound cake hybrid brought to Japan by the Portuguese, you know what I'm talking about. 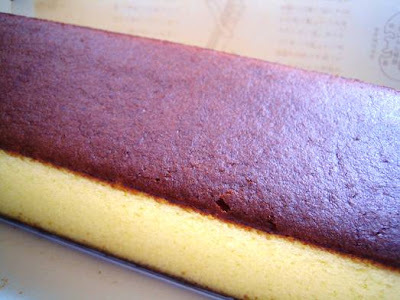 My uncle is visiting from Japan, and he knows the most prized souvenir for our family (especially my 6-year-old niece and 3-year-old nephew) is Castella. 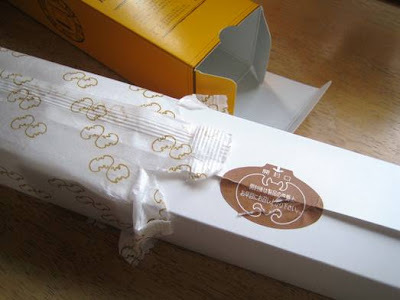 So he brought a suitcase full of the golden-yellow boxes of the moist, egg-y soft and subtly sweet cake. Needless to say, even us adults are in heaven right now. 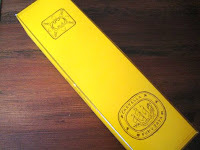 I got a box all to myself and have been enjoying a slice a day, savoring and trying to extend the life of this one box as long as I can. 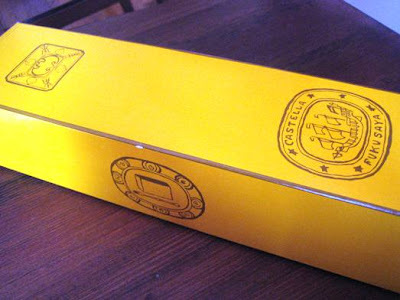 Like other specialty foods, any version of Castella you buy here in the States doesn't measure up to the authentic Castella sold in boutique shops, mostly, in Japan. Iris! 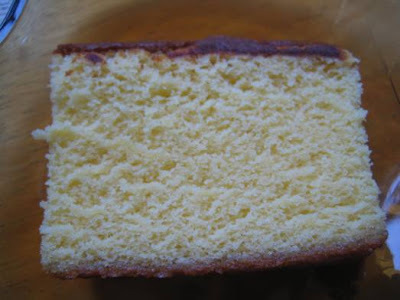 You were NOT kidding about that cake. I truly did want to share it when I got home, but it never made it that far. I totally understand why your uncle brought home a suitcase! Do they import this stuff?